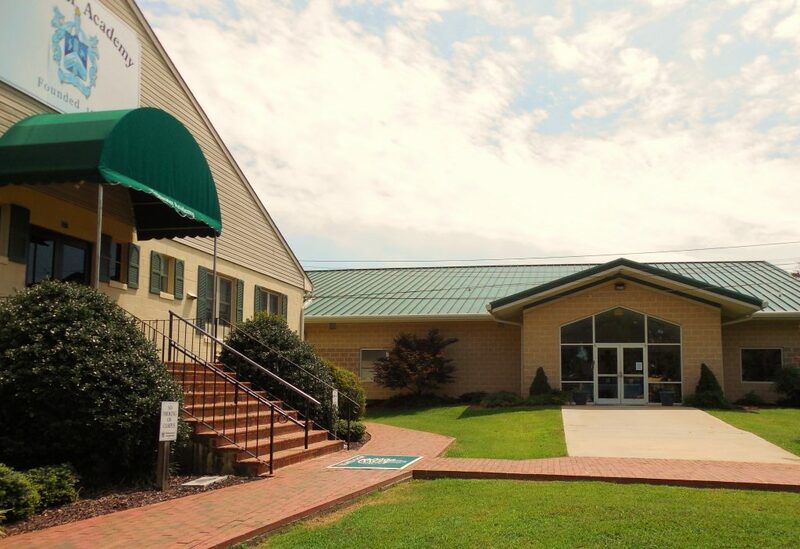 Our school is located at 217 West Church Street in the town of Wakefield in Sussex County, Virginia. We have served students in central and southeastern Virginia for over 54 years. Our convenient location along US Route 460 East is just a short drive from many localities – 30 minutes from Prince George County courthouse area, 30 minutes from the City of Petersburg, 35 minutes from the Town of Stony Creek, 20 minutes from Surry County courthouse area, and 20 minutes from the Town of Windsor in Isle of Wight County. We offer school transportation from multiple bus stops in the region. Our campus is situated in the quaint, charming town of Wakefield, well known for the popular Virginia Diner. We are surrounded by the beautiful, rural countryside of Sussex County. Our school campus includes four main buildings – a lower school, middle school, upper school, and gymnasium. The lower school has classrooms for preschool through grade five, as well as a library, computer lab, art and music room, multipurpose room, and an administrative office. The middle school has classrooms for grades six through eight, as well as an art room and weightlifting room. The upper school has classrooms for grades nine through twelve, as well a library, computer lab, science lab, lunch room, and administrative offices. Our gymnasium, home of the Nunnally-Westbrook Court, is the place to be on fall and winter evenings! We hold all volleyball and basketball games there. The gym also contains two locker rooms and a concession kitchen. Tidewater Academy uses nearby athletic fields owned by the Town of Wakefield for baseball and softball competitions. Also located on our school campus is a playground and athletic field for our lower school students.